Your twenties can feel like they’re too early to worry about financial planning. You don’t have much money and you do have a lot of debt to repay. But those are the very reasons that the financial decisions you make in your twenties are so crucial. The choices you make now will impact the rest of your life. Even with limited resources, there are ways you can get ahead. Most young professionals today start their careers with a significant amount of debt. Paying off student debt before borrowing more money (for a house or a car) is a great financial plan. Making larger than minimum payments will help you pay down debt faster and reduce the amount you wind up paying in interest. The sooner you start saving for retirement, the more comfortable you will be in later years. But if you’re doing everything you can to pay down student debt, should you be investing too? Wouldn’t that money be better spent reducing debt payments? It all depends on your returns. If your after-tax returns from investing are higher than the interest accrued on your student debt, you come out ahead by investing before making bigger debt payments. As a young investor, you may not have seen a market downturn yet. You will. Recessions are an inevitable part of the economy and they can decimate your savings if you’re over-exposed on the stock market. Precious metals like silver are your hedge against inflation and market fluctuations. Silver prices have an inverse relationship with the stock market. When your savings in stocks are plummeting, silver price gains can help you recoup your losses. Why silver instead of gold? Silver has better long-term growth potential than gold. Silver demand is set to outpace silver supply, resulting in a silver supply crunch that will push values higher. Silver prices today are at historically low prices in comparison to gold. Nevertheless, buying gold can be a good strategy as well. Anyone interested in silver investments should find out why so many people buy their silver online and how it can help them. Prices tend to be lower and some online suppliers offer global storage solutions that make it easy to buy silver and forget about it until prices are favorable. You may need to work a traditional, 9 to 5 job to meet many of your financial objections, but that doesn’t mean you shouldn’t be investing in yourself. Earning extra money on the side as a freelancer is a great way to supplement your income, but there’s more to it than that. 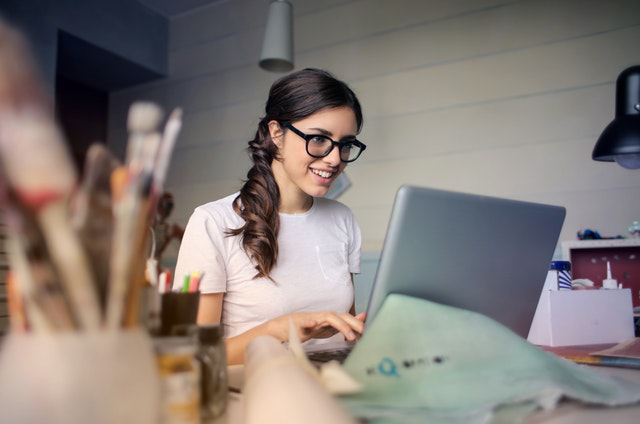 Starting your own business, even on the side, will give you the skill set you need to make that next career jump and make your business your full-time job. Whether you’re a freelance web developer, dog-walker, or tree-cutter, when you’re ready, you have the skills to thrive on your own. It’s okay to spend money, too. There’s a growing field called happiness economics that explores how economic factors like income, inflation, unemployment, and wealth in relation to others affects your happiness, as well as the way you spend money. The happiness “dividends” of spending money on a “trip of a lifetime” can pay off for years and help you refocus on other money goals, like paying down debt or focusing on career success. Your twenties are the ideal time to start thinking about your big financial picture. Pay down debt, start investing, plan for the future, and try not to miss out on the experiences that money can afford you.